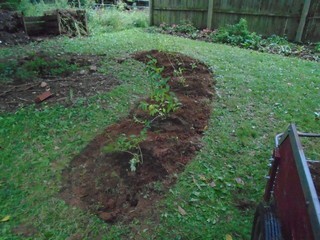 Now that the plants are selected they need to be planted into a good reception in the new bed. I have moved the transplants to the spots where they will be planted but back about twelve to eighteen inches. mOst of the rulw of planting transplants is to remember that they are under stress. No matter how gently you have either duf them or removed them from tier pots, the roots will still be struggling and some of the fine root hairs will have been lost. 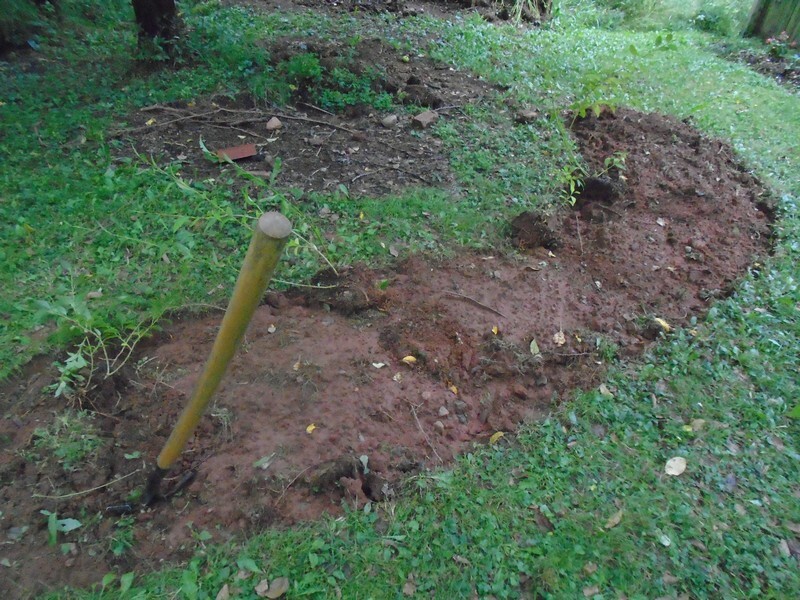 One of the rules of thumb for plant mass is that there is as much root mass below ground as there is growth above. 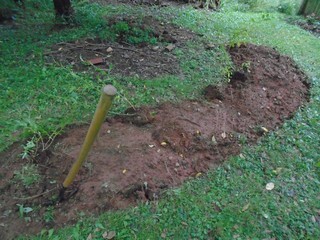 I have just removed telve inch or taller shrubs with an eight inch shovel. Some roots are cut and lost. 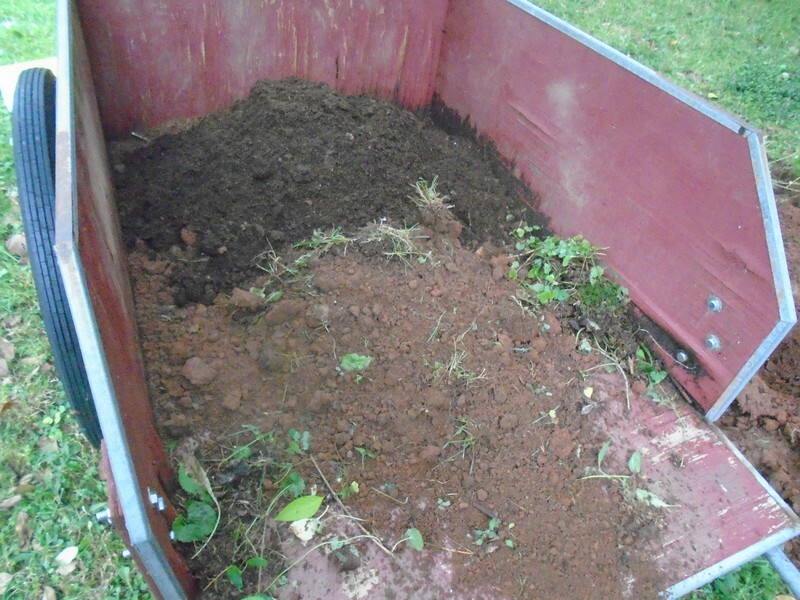 Along with the soil I add an equal amount of compost and/or peat moss along with a little fertilizer or composted manure. Any fertizer used should be fairly low nitrogen and that should be slow release. 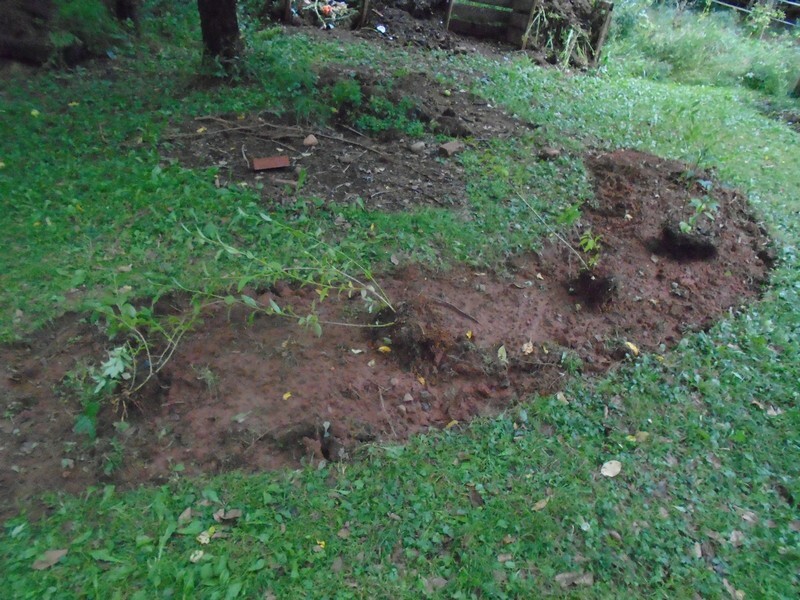 Particularly in the fall but especially because we are transplanting, root growth is more important than height. This just gets mixed with the shovel until it is uniform in appearance. This will seem like a treat to a newly moved plant. Each transplant is put in place using the mix to bring it to proper height. Generall for shrubs this line is evident on them because there is a discernible change of color where the plant has left the soil. Plant to that depth or, in the case of plants like forsythia that love to root and do so easily, plant a little deeper. Work the soil/peat mix around the rools and press it firmly to make good contact. Thoroughly water in the new plant. 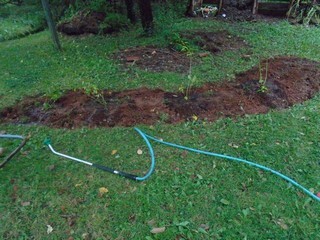 Note the phrase "water in" Just watering impies getting moisture to the roots for the plants to grow. 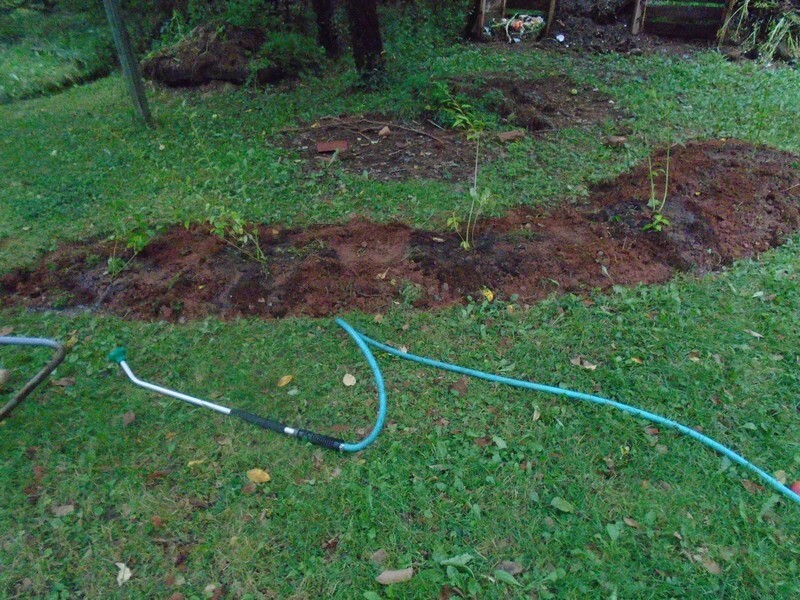 "Watering in " means to soak the plant after transplanting. 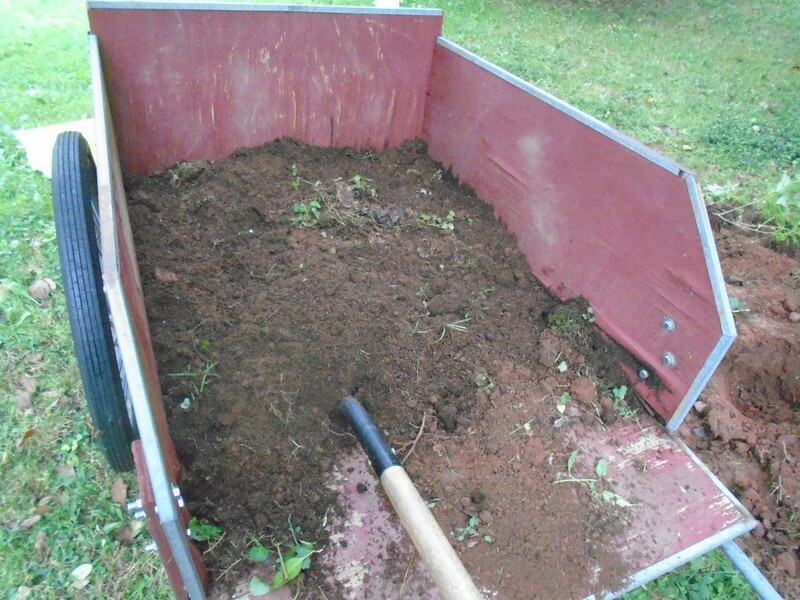 The pupose is not only to refresh the plant after its hard move, but also ensure that the roots are in contact with the ground and not in midair somewhere unseem. Water as if you were drowning the plant, let it drain into the soil, and repeat at least once.